This weekend I had planned an awesome picnic in a cute little park here in Houston. Of course, I had to pick the best food to bring. I chose italian sandwiches, pesto pasta salad, lemonade, but I still couldn’t figure dessert out. It had to be perfect because it’s the most important part of the meal and it had to be portable and clean for the picnic. My friend suggested peach cobbler, cheesecake, cookies, etc., but I couldn’t find anything that sounded appealing. 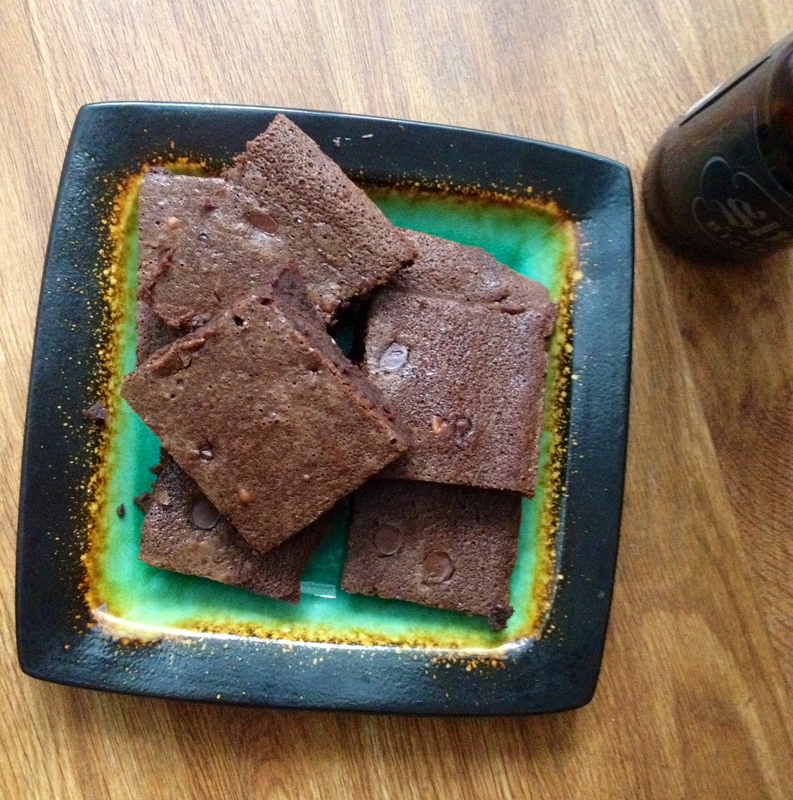 Then I discovered these brownies. OH MY GOSH! So good, so rich, so fudgey, so heavenly. The original recipe called for Guinness, but I could not find single bottles anywhere. So since I’m in Texas, I prefer Shiner, and it would totally match with Guinness, I decided to get Shiner Black Lager. Preheat oven to 375. Line 9×13 pan with greased aluminum foil. 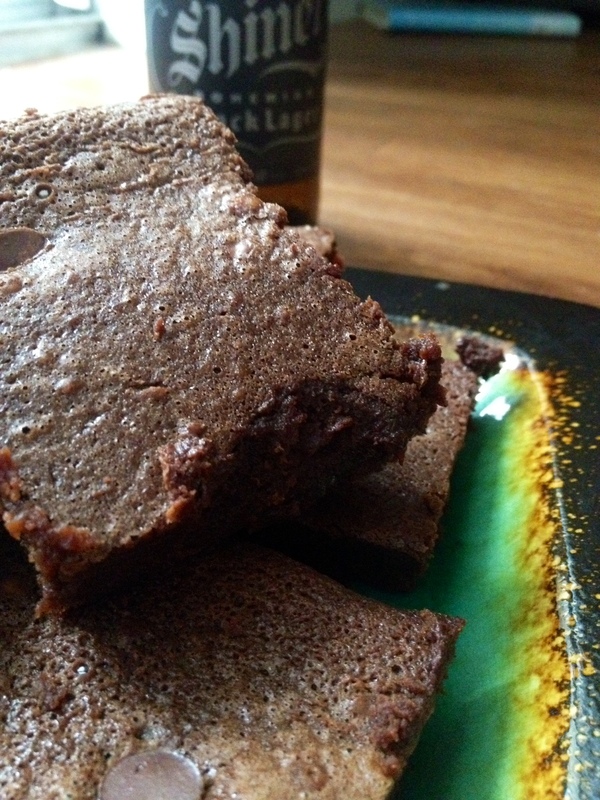 Pour both bottles of beer into saucepan, heat on medium heat, until liquid is reduced to 1 1/4 c.
Melt bittersweet chocolate, white chocolate, and butter in a microwave bowl at 30 minute intervals, until chocolate is melted and mixture is smooth. In a large bowl, whip eggs with sugar, slowly stir in melted chocolate mixture. 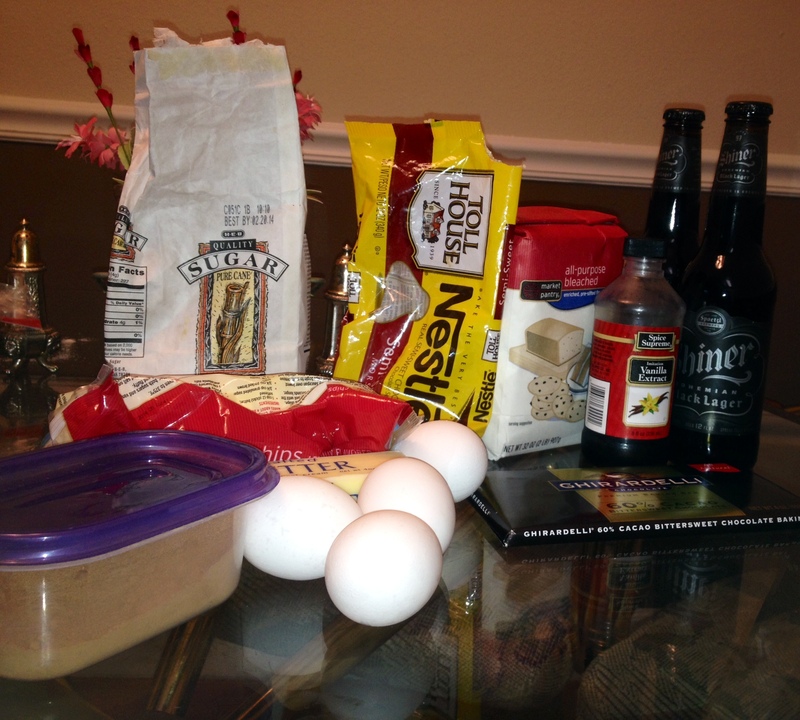 Add flour and cocoa powder, mixing until smooth. Pour in 1 1/4 c beer and vanilla. Pour mixture into prepared pan, dropping bits of semi-sweet chips on top. Bake for 25 or until toothpick comes out clean. Now that it’s summer, I have big dreams of living on an island. I always think this includes me being unemployed, so it’s not a really realistic dream. Boo hoo! Eating this island-inspired dessert will have you living on island time… Hopefully you can snap back into reality afterwards though! This cake is really simple, light, and smells so sweet. It is simply a white cake, drizzled with lime juice and sweetened condensed milk, topped with cool whip and toasted coconut. The original recipe called for whipping cream and lime rind, but I didn’t feel as though that was necessary. It also called for frosting, instead of cool whip, and no coconut. I chose to use cool whip because frosting would be way too rich and cool whip is light and refreshing! Poke holes in white cake with handle of wooden spoon. I poked about 20-25 holes to get the flavorings throughout the whole cake. Mix juice with sweetened condensed milk and pour over cake. You may have to guide the mixture into the holes and allow the extra mixture to rest on the top. Allow cake to cool for at least an hour, as to not melt the cool whip. Spread cool whip over the cake and lime mixture. Put back in the refrigerator for at least 4 hours, but overnight would be great also! Preheat oven to 325. Lay unsweetened coconut on cookie sheet and spread out, so you have a very thin layer. Allow to brown for about 5 minutes, but keep your eye on it the whole time. You may want to shake the coconut around so it is browned thoroughly. 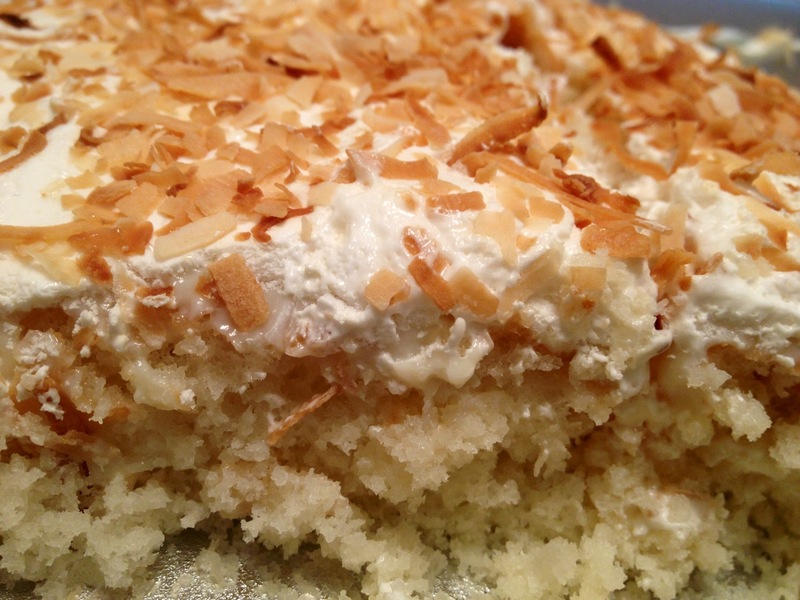 Top cake with cooled coconut and eat your little heart out! Hope you enjoy your time on your favorite island. Holidays always call for dessert, amiright?! This weekend we had a Fourth of July vacation which involved kayaking, floating the river, a parade, family, and eating cheesecake in a swimsuit. I love cheesecake! It’s one of my favorite desserts. I can eat it plain, with chocolate, covered in fruit, by the slice, by the whole cake, new york-style, or no bake. Combine graham crackers, sugar, butter, and water in a bowl. 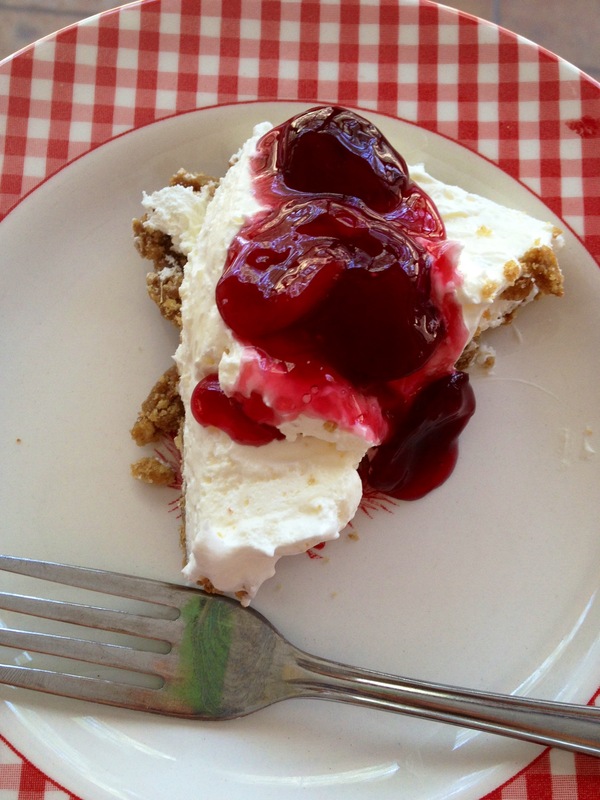 Press into pie plate and place in refrigerator, while making the filling. Cream sugar into cream cheese, add in cool whip. 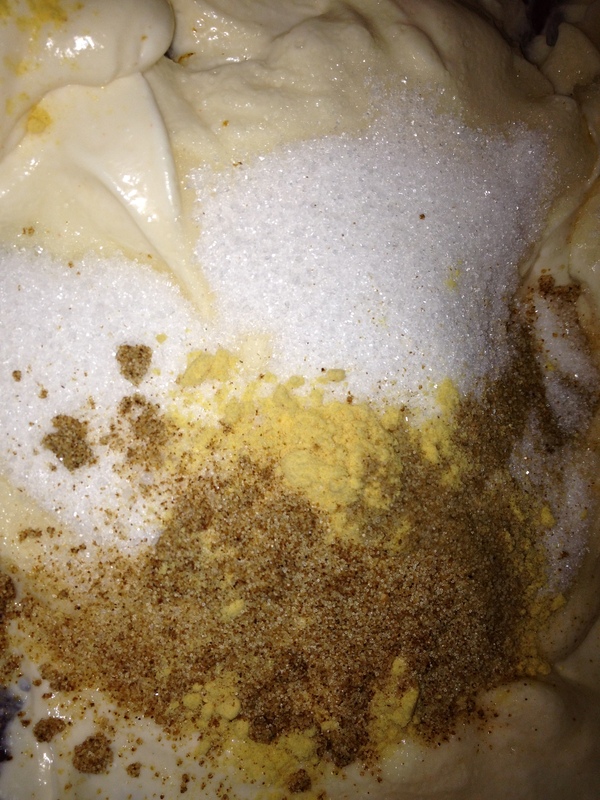 Fill graham cracker pie crust. 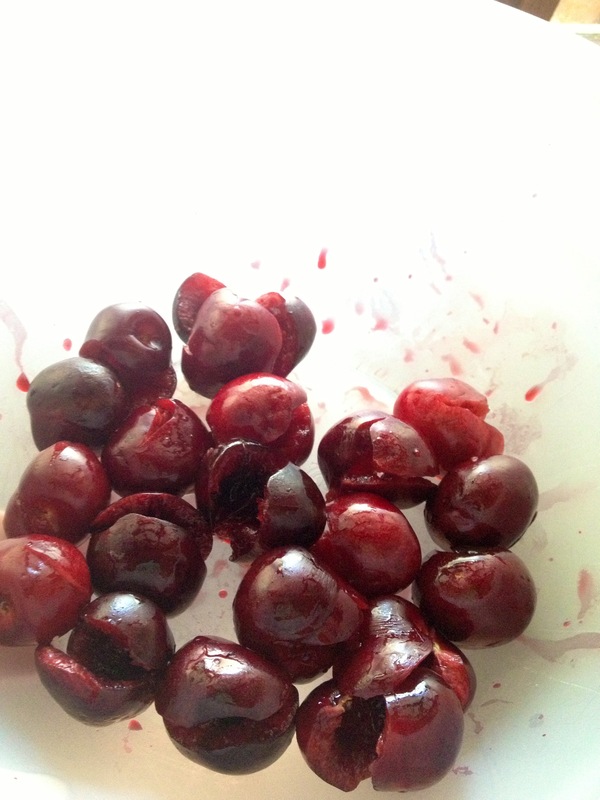 Slice pitted cherries in half. Place in saucepan, along with cornstarch and sugar, and let sit for 10 minutes for the juices to extract and combine with sugar and starch. Simmer cherries on medium heat, add lemon juice and water. Simmer for 10 minutes until the cherry juice is thickened. Serve topping on cheesecake! Hope you enjoy this easy dessert as much as my family and I did! 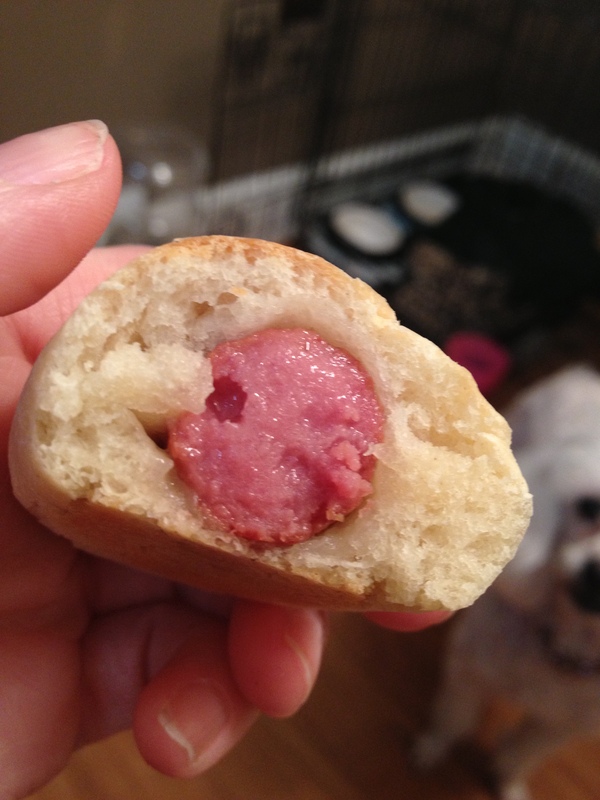 Sausage Kolaches… or Sausage whatever! A few months ago, I moved south of Houston to a county that is full of Czech people. I’m talking names like “Hrncir”, not even kidding, and everyone has a Jak Se Mas bumper stick. Side note : it means “how are you?” in Czech. Naturally, the food that is popular is correlated to the population so kolaches are a huge thing here. I grew up eating kolaches (or kolache, if you’re in Czechoslovakia), but I am under the impression that people outside of central and southeast Texas are clueless to these little bits of heaven. Kolaches are a round semi-sweet dough, with a cave in the middle usually containing sweet filling such as poppy seed, apricot, or cherry. Since we’re in Texas and we like our meat, we also like our kolaches with sausage or ham inside. Many older Czech say this isn’t a true kolache, but it’s still great! To welcome our new secretary, or lifesaver, to the office tomorrow, I decided to make a batch of sausage kolaches to make her feel welcomed! Sprinkle 1/2 tbsp sugar over yeast and dissolve in warm water, set aside to rise **Do not make water too hot or you will kill the yeast**. Heat milk, add shortening until it has melted. Allow to cool lukewarm. Add salt, slightly beaten eggs, and 1/4 c sugar. **The milk mixture needs to cool to about 100 degrees, or it will kill the yeast**. Combine milk-egg mixture and yeast mixture, then add flour gradually and work dough (by hand or mixer) until glossy. Dough will be slightly sticky! Cover with a towel or plastic wrap and allow to rise until doubled in bulk, which takes about one hour. After dough has risen, divide dough into large egg sizeid portions and form a ball. Place on butter baking sheet. Let rise until light. Flat dough out big enough to where it will fit the wienie. 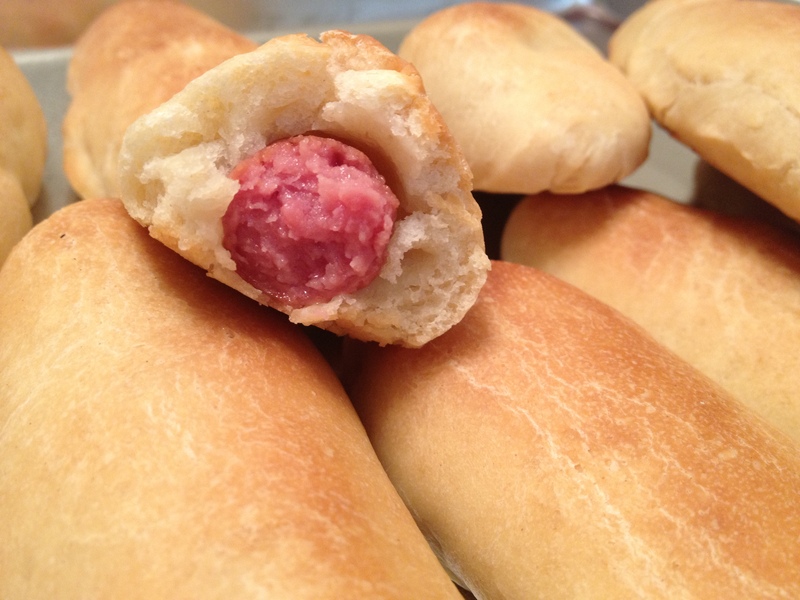 Fold dough over wienie, encasing the whole. Allow to rise again for 45 minutes. This dough can be used to make fruit filled or meat filled kolaches. Good luck! So I feel like I’ve been so busy lately. Working, cleaning, working, sleeping, etc. I love sleep so much that I wake up as late as possible, so I never have time to make anything nutritious in the morning. I made this Quinoa Oatmeal on Sunday, so now I can have it throughout the week, without having to lose any sleep. My kind of food, right?! I found this recipe from Thug Kitchen, but it called for steel cut oats. Um, $5 for a small canister of oats?! No thanks, I’ll save that when I absolutely need them. So I decided to make a recipe that didn’t make me go to the grocery store, because I’m lazy, ya know? Boil water in microwave or on a tea pot. 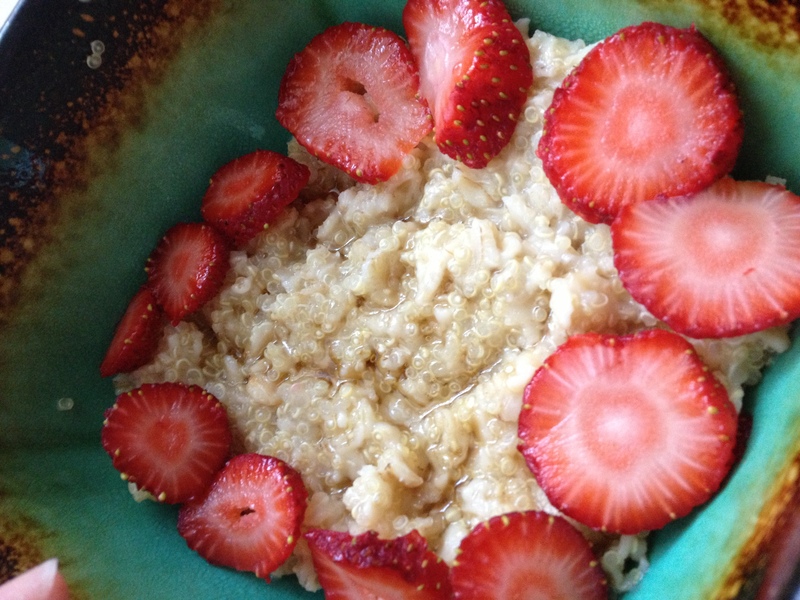 In a saucepan, heat up oil and add oats. Stir oats around until they smell toasty, which takes about 2 minutes. Add in quinoa and water and turn up the heat, so mixture will come to a boil. This will not take long because the water is always hot, hot, hot! After it comes to a boil, turn down to simmer. Allow to simmer for 10 minutes or until most of the liquid has disappeared. Top with your choice of milk and fruit, nuts, maple syrup, brown syrup, agave, peanut butter, etc. I chose strawberries and maple syrup with no milk, because I needed to get rid of strawberries and I’m in love with maple syrup. Ooh la la! Spring and summer time in Texas usually means get-togethers focused around food, whether it be a crawfish boil, barbecue, or a fish fry. This weekend, my parents are having a fish fry and I made the coleslaw because that is necessary whenever you eat seafood. 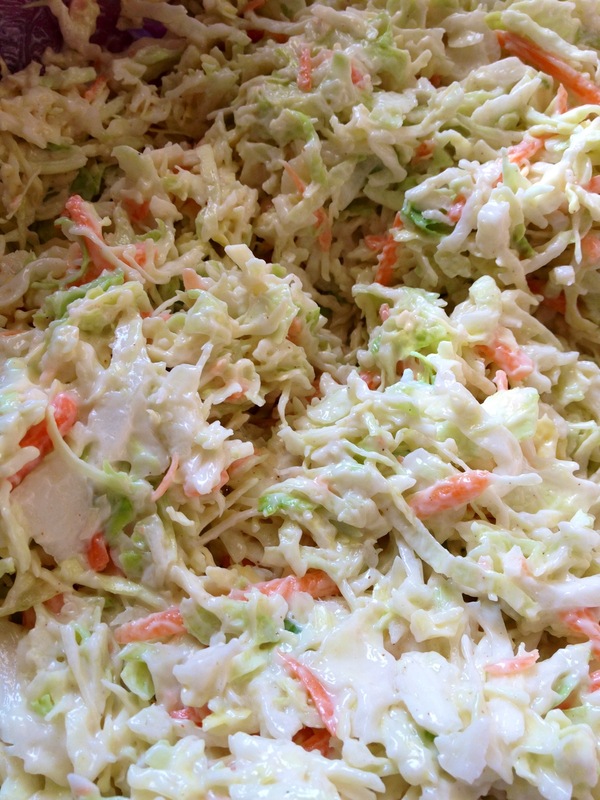 This is the best, tangiest coleslaw that I’ve ever tried. It’s easy to throw together, to boot! First, mix the miracle whip, sour cream, sugar, and all the seasonings together until they are well incorporated. 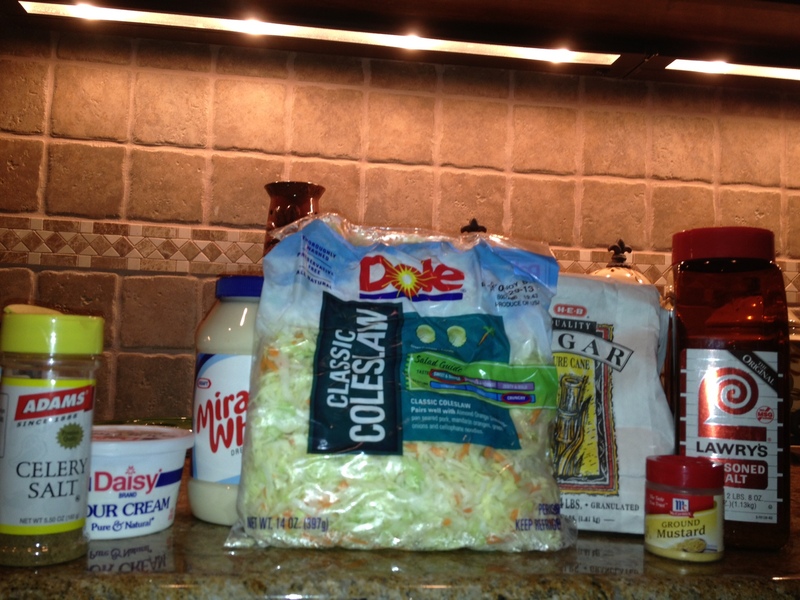 Next, mix in the coleslaw mix until it is fully dressed. Voila! That’s too easy right? I hope you enjoy this yummy side-dish this summer to woah all of your friends, family, and neighbors. Who doesn’t love cake? 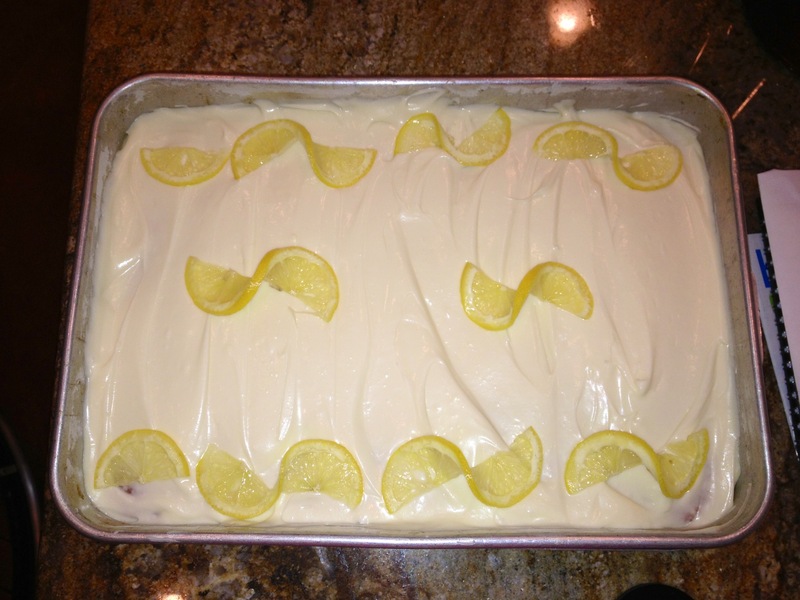 Maybe some weird people, but I think even those weird people will like this crazy good lemon cake. 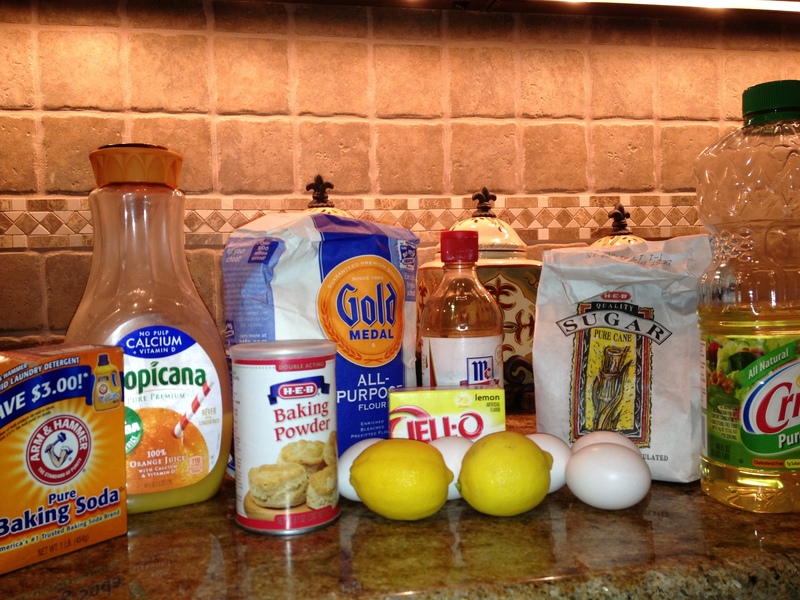 My granny’s 83rd birthday was this past Sunday and since her favorite cake is a lemon, I was determined to find the best lemon cake recipe that didn’t call for a lemon cake mix. Coincidentally, a few days ago, I was watching Trisha Yearwood’s cooking show and she was making a key lime cake. 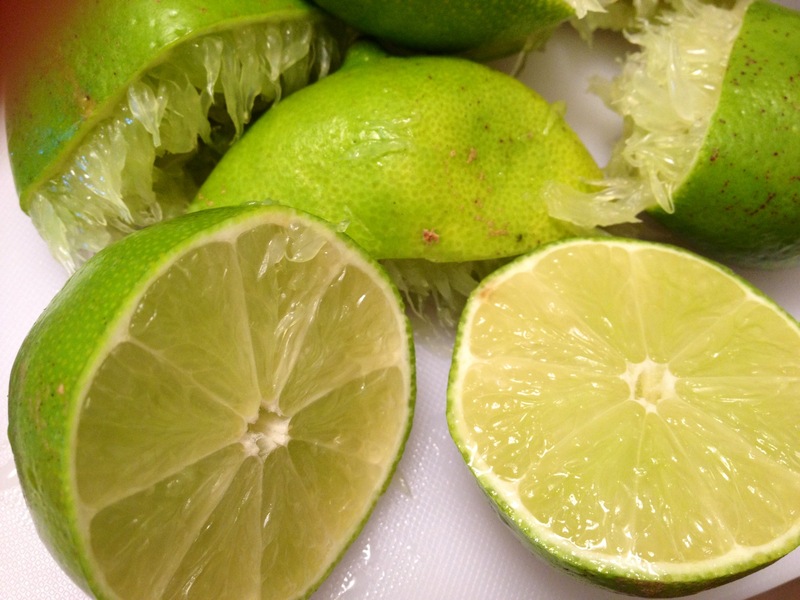 Limes and lemons are the same thing, kind of, right?! 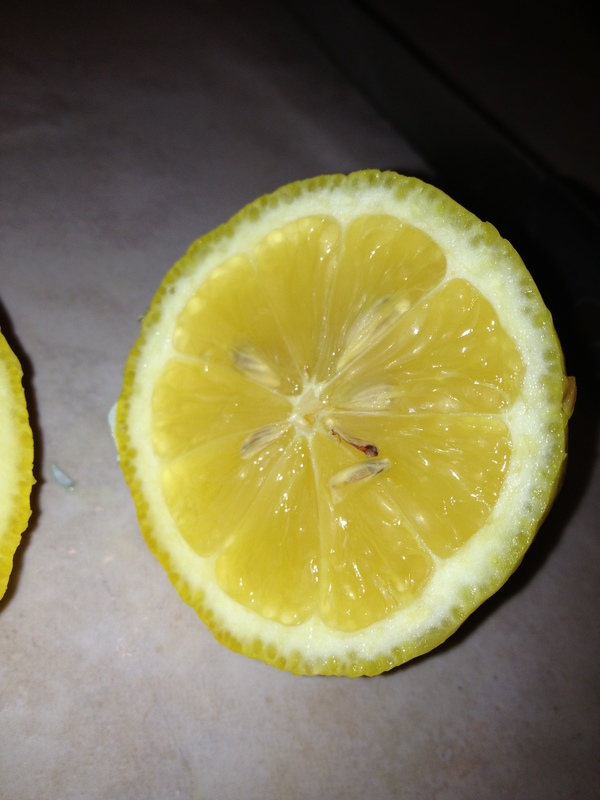 So why couldn’t I substitute lemons for limes? I did and it turned out perfectly! 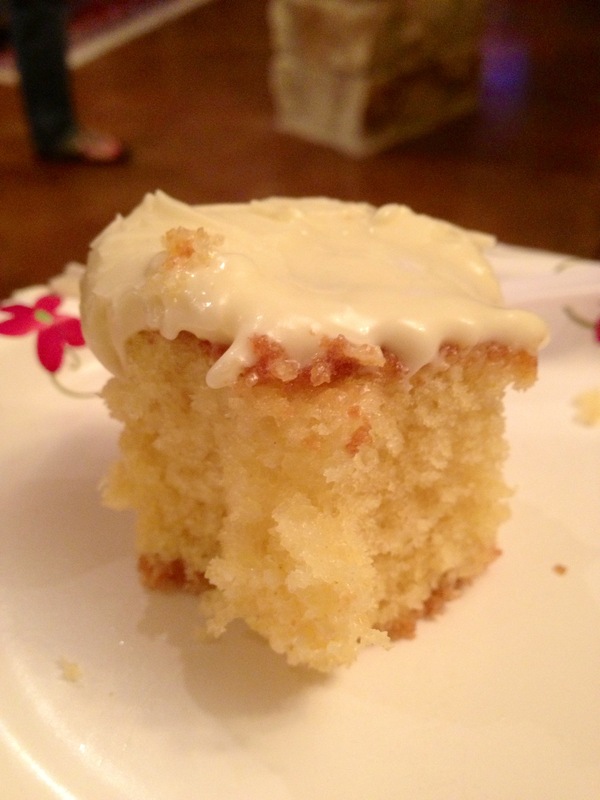 This consists of a lemon cake, sweet lemony glaze, and then cream cheese frosting. Preheat oven to 350. Mix the gelatin, sugar, flour, salt, baking powder, and baking soda until well combined. Add the oil, orange & 1 tbs lemon juice, vanilla, and beaten eggs; mix until combined. Pour mixture in greased & floured pan, bake for 35-40 minutes. *The original recipe called for 1 1/2 c oil, but some of the reviews were negative so I lowered it to 1 c and it turned out moist! To make the glaze, dissolve 1/2 c powdered sugar in 1/2 c lemon juice. 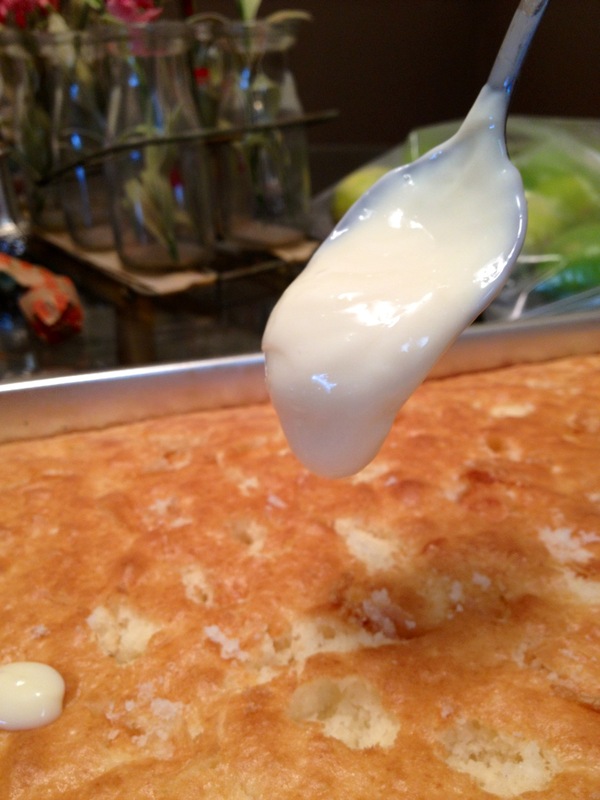 After cake has cooled for 5 minutes, poke holes in the cake and then drizzle the glaze over. I used a kabob stick and found that to be the perfect size of holes. This cream cheese frosting is pretty standard. MIx butter & cream cheese, then gradually add the powdered sugar until it is creamy and whipped. Frost cake and take a big bite!